Its about few minutes walking distance from Bang Lum Pu circle. 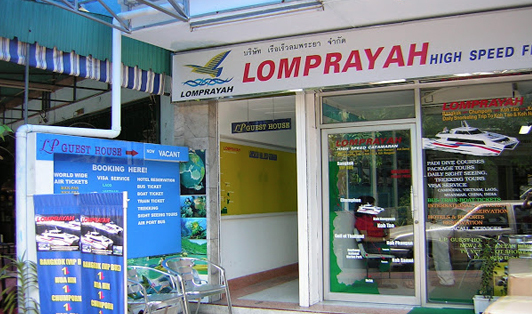 An office marked "Lomprayah". It's close to the Bai Bua Thai restaurant. Your taxi driver should know this location, but please call us for more information if you need.